The first thing you’re going to want to do is purchase a high quality self-tanner, or go to a quality spray tanner. Read reviews to help you make your decision – or let me make it for you. 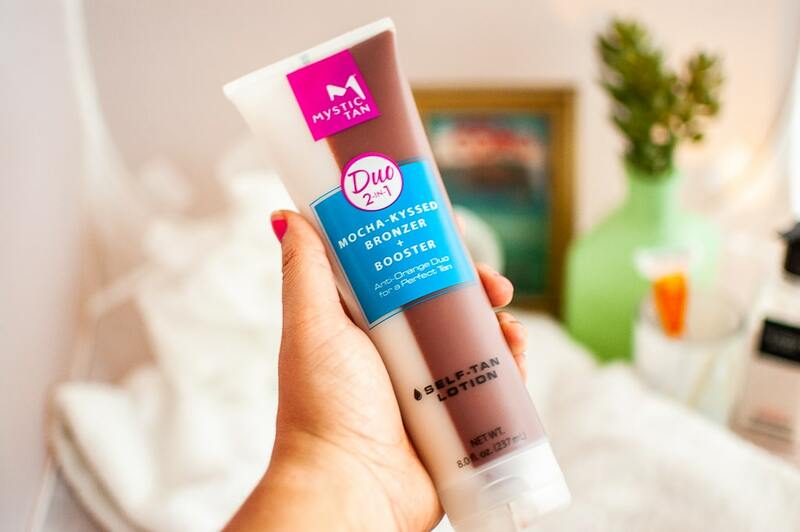 For at-home tanning, I use Mystic Tan® Mocha-Kyssed Bronzer and Booster Self-Tan Lotion. It’s a duo lotion that comes in a clear tube, and you can see that half of the bottle is the bronzer and half of the bottle is lotion. It’s the first-ever anti-orange formula, so even if you’re a newbie you can rest-assured you won’t be a Cheet0. The lotion balances your skin’s pH level, in turn countering the orange undertone that’s synonymous with a lot of other self-tanners. 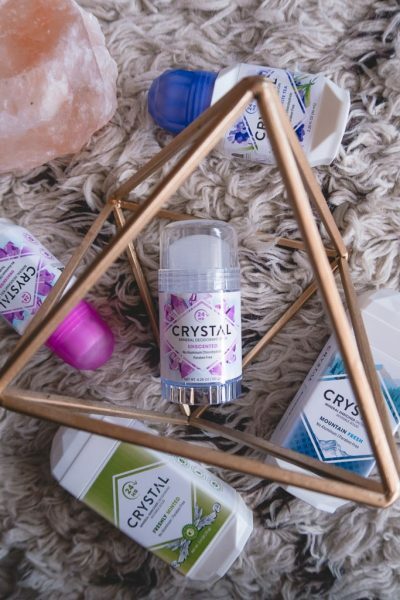 The formula includes a blend of Hyaluronic Acid, Glycerin and Sodium PCA so the lotion moisturizes your skin, too! Sometimes with spray tans, my skin feels tight afterward (and I don’t want to drench my skin in lotion because the tan will streak). It’s nice to have that moisturization built-in. As you’ll read below – moisturizing is vital! 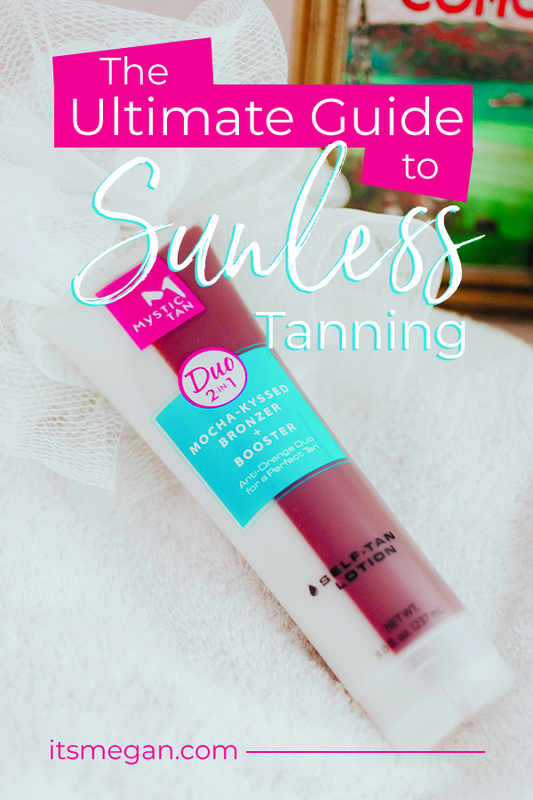 Another reason that I like Mystic Tan® for my at-home tanning is that they’ve been around for 15+ years. Their main focus is on sunless tanning. 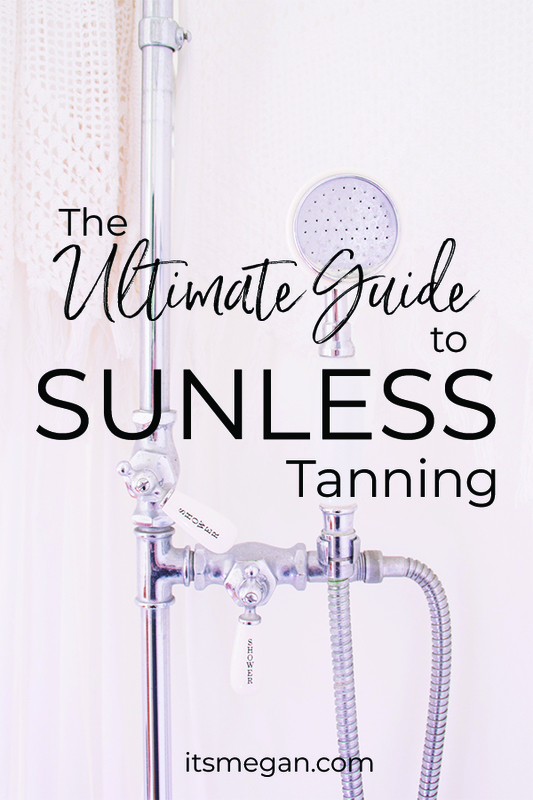 There are so many self-tanners out there that are well-known for a different product line. Or brands that I’ve never even heard of before. Mystic Tan® has salons all over the country, so you can actually go in and get a spray tan, too. That’s their only focus, and this lotion uses the same ingredients as their spray tan formula. 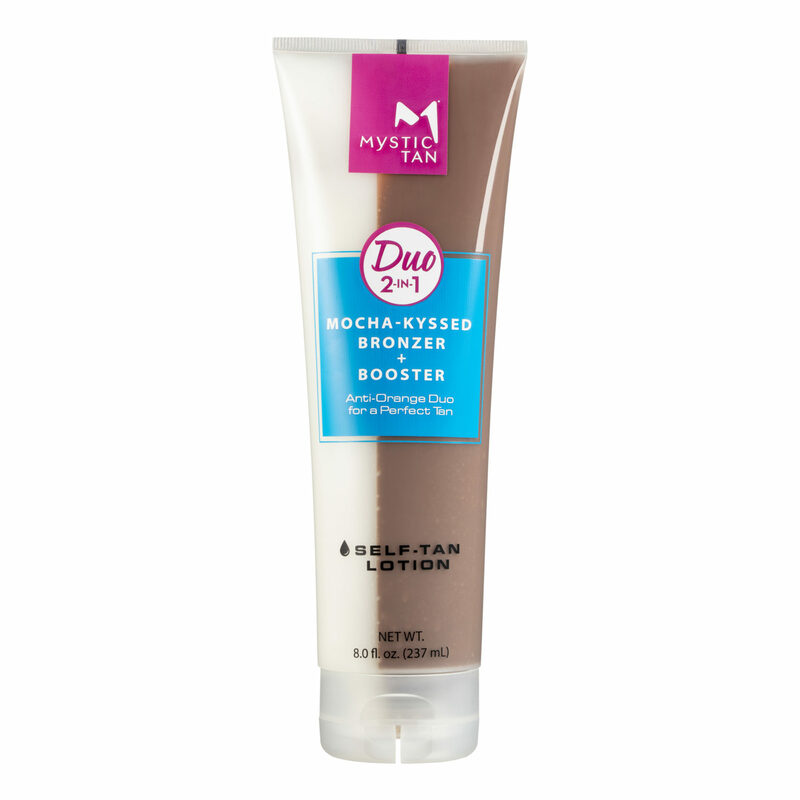 You can buy Mystic Tan® Mocha-Kyssed Bronzer and Booster Self-Tan Lotion at Target and on Amazon! 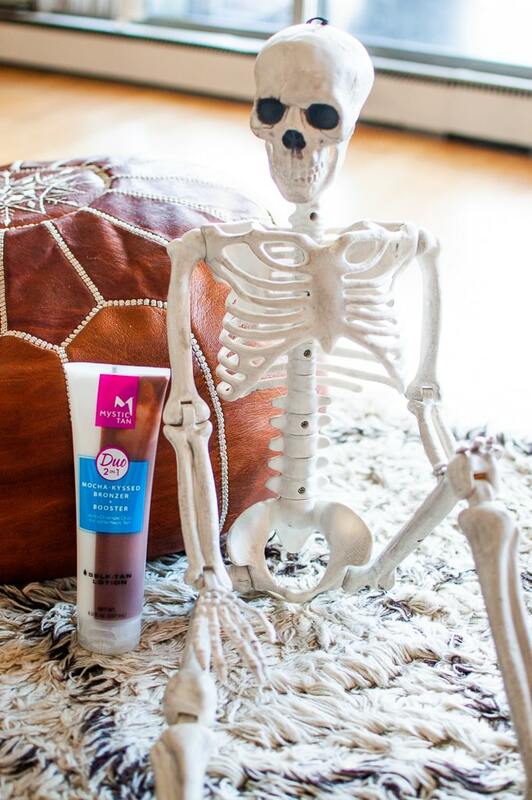 Check out my before and after using the Mystic Tan® Bronzer! 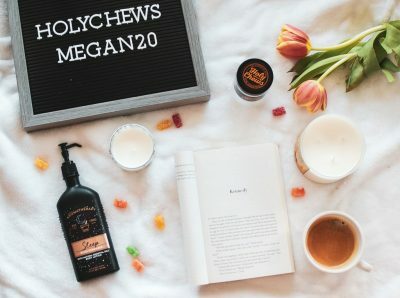 *This post is sponsored by BrandBacker and Mystic Tan, but all thoughts and reviews are my own. Exfoliating is key to getting a good, even base tan that lasts. Trust me! 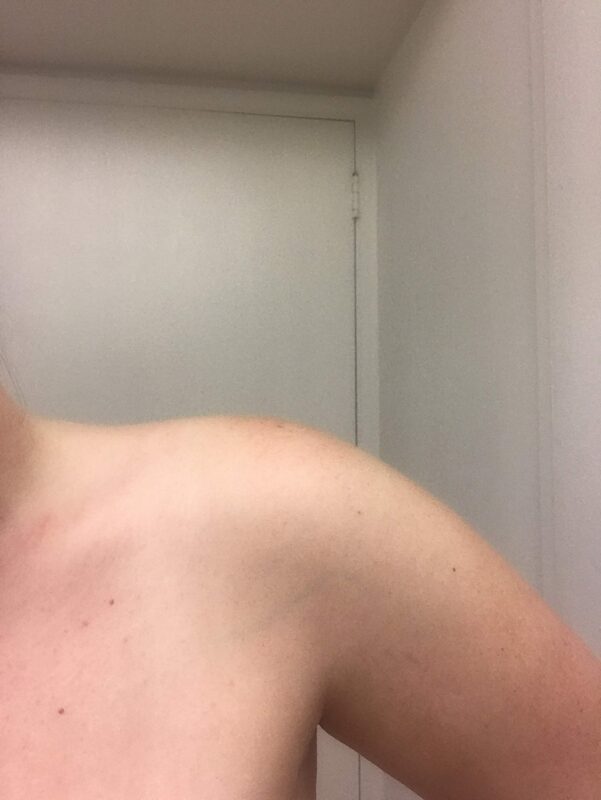 This is why I recommend exfoliating up to two days ahead of self-tanning/spray tanning. Work hard on your elbows, hands/feet, knees and the back of your ankles. If you don’t exfoliate, the top layer of dead skin will absorb the tanner. What happens to dead skin? It sheds off. See where I’m going with this? 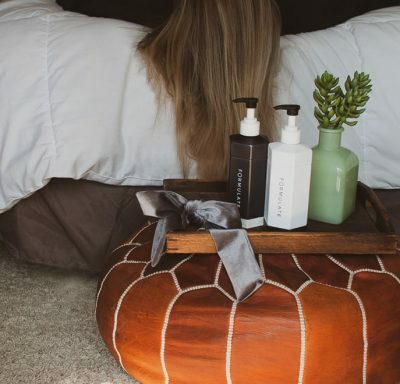 Exfoliating means that you’re tanning the fresh new skin underneath. Exfoliating two days in a row will help you get everything. 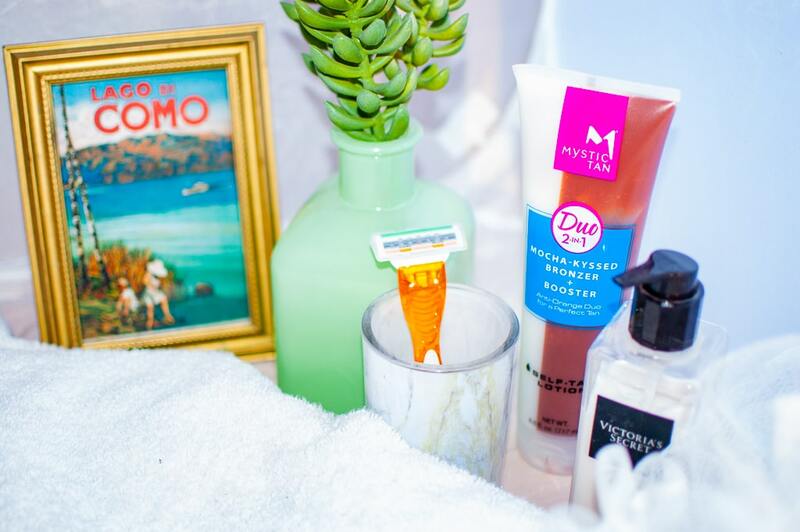 Similarly to exfoliating, you’ll want to shave or wax before applying self-tanner. If you’re waxing, I would recommend doing that 24 hours ahead of time so your skin can heal. Self-tanning with leg hair allows the formula to stick to the hair follicle, and when you do shave you will have tiny white dots. Okay, I have ruined countless sunless tans because of this. I’ve either gone in the summer when it’s super humid (and I walk home) – or when it’s raining. Not smart! If it’s humid and you’re super sweaty, take a shower first and cool off. Here’s a quick story. I thought I was being proactive one day. I knew it was pretty warm, so I thought I’d wear a dress to keep my legs from sweating. Well, when I came out of the spray tanner, it was raining! I had specks all over my legs from where the rain washed off my color. (see photo). Don’t take a shower until roughly 6 hours after your spray tan. Do not go workout afterwards. Don’t wear a dress in the rain. Wear clothes that cover you, but aren’t too tight or too loose. If they’re too tight, you risk the formula absorbing into the clothes. If they’re too loose, you risk skin-on-skin-sweating. 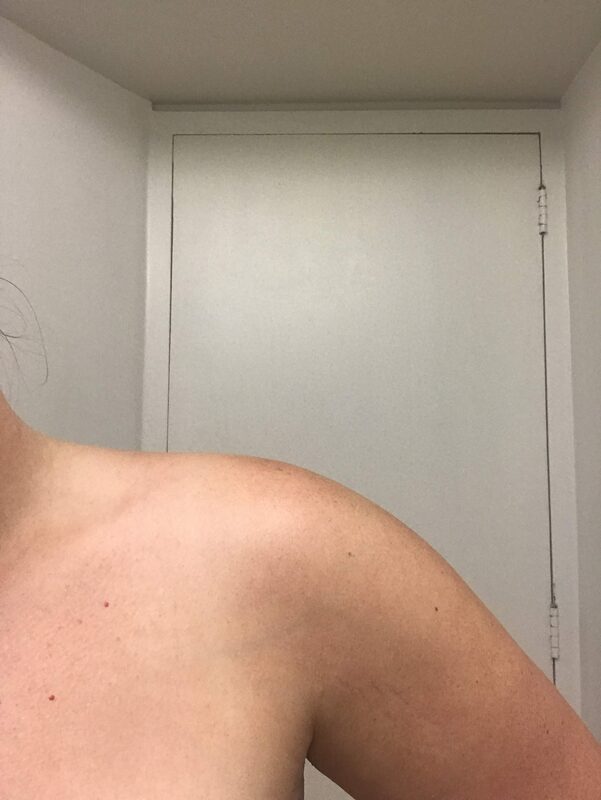 Worth a note: My light colored bras have turned a blotchy orange after getting a spray tan. Usually the tanning salon will provide a hair cap and barrier cream. I highly recommend using both! The barrier cream should be applied to your hands, elbows, knees, ankles and tops of your feet. This will help keep the formula from soaking in too heavily in these areas. In addition to using these, I also recommend leaving your undies on. (If you’re going to be in a bathing suit afterward, I’d wear a thong). You should also consider wearing chapstick so the formula doesn’t stick to your lips. It doesn’t taste very good! Wash your hands after applying. They do make special gloves that you can use to apply your tanning lotion to avoid getting it on your hands altogether. Wait a few minutes after applying before you put clothes on! 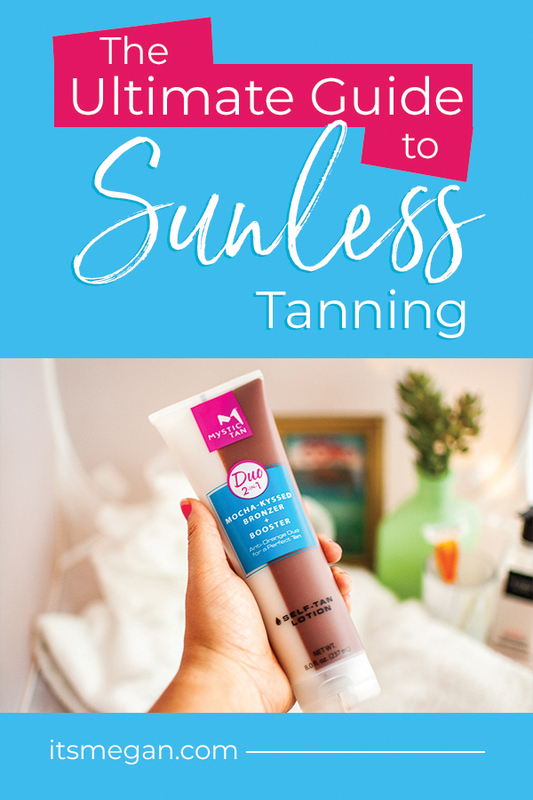 Follow these steps and you will have a flawless, sunless tan! Make sure you use self-tanner before going to Belize! Read my guide to Belize here.